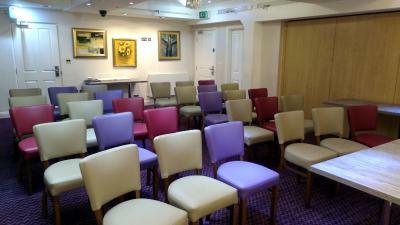 I loved everything about the Queensgate Hotel. I was greeted by a lovely woman who check me in. A staff member brought my bags to my room. The room was beautiful from the decor all the way to the cleanliness. I felt like I was a Queen while I stayed in this room! The breakfast was amazing as well. There was so many options to choose from. For the price the Queesgate was very good value. The staff were friendly and helpful. I stayed in a superior room that gave a little more space. I was impressed with the cleanliness of the room and bathroom. The breakfast is hot and cold food buffet style, there was a good selection. Depending on the number of people there was a little wait for food to to be replenished. Overall very pleased with my staff. The hotel was great and made you feel like home. 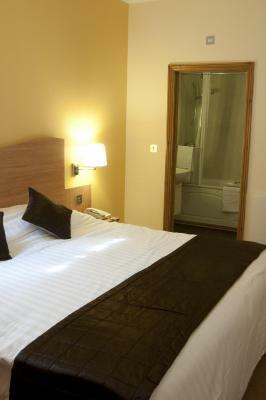 great value for the rooms that are provided to you. 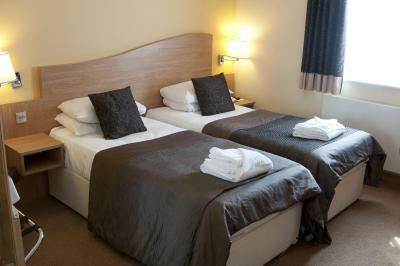 The room was clean and well presented and the free Wifi was reasonably quick and reliable. Great coffee and excellent breakfast. Good choice for even meal with good wines. Great, walkable location to the interesting town. Great Cathedral, fine pub and nice pedestrian mall. 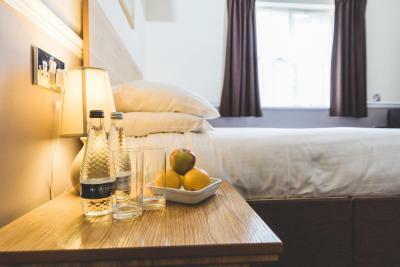 The room was very clean, the shower was good, the breakfast was a good size and it was useful to be able to access the hotel even after the main desk had closed. I didn't spend much time at the hotel when I wasn't either asleep or eating breakfast so I can't comment on its other facilities. The breakfast here was absolutely marvellous. We had the veggie one and it was not only delicious, it was very healthy too as they had grilled it. 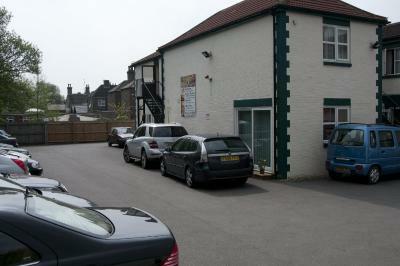 It was also good to have parking on site and be able to walk to the cathedral and shops. 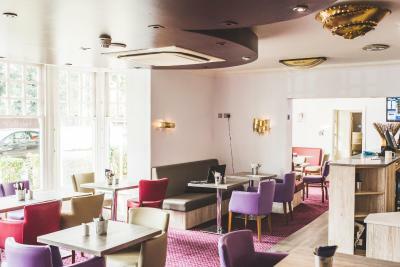 The Queensgate Hotel This rating is a reflection of how the property compares to the industry standard when it comes to price, facilities and services available. It's based on a self-evaluation by the property. Use this rating to help choose your stay! One of our best sellers in Peterborough! Centrally located in Peterborough, The Queensgate Hotel offers its own Mediterranean restaurant and a wellness center. 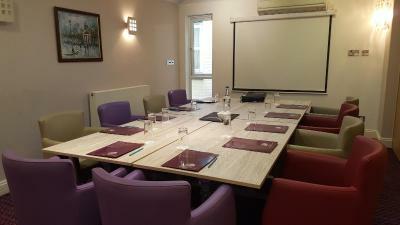 With free Wi-Fi throughout and free private parking, it is next to Peterborough Football Club. 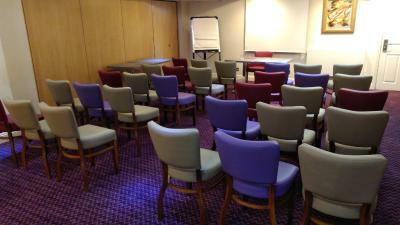 The Queensgate offers room which include a TV and a seating area. 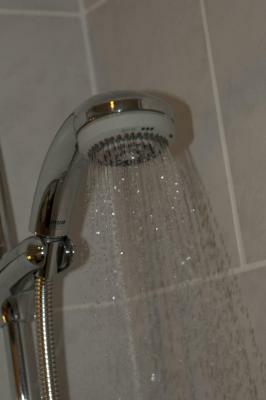 The en suite shower rooms have a hairdryer. 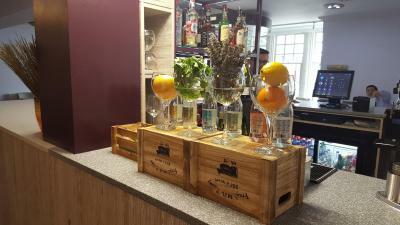 Serving European cuisine, The Sweet Olives Restaurant is open from Monday to Saturday. Guests can enjoy many types of massage and beauty treatments in the beauty and wellness center. Peterborough Train and Bus Stations are just a few minutes' drive away. Peterborough Cathedral and the Rivergate Shopping Center are both a 10-minute walk from Queensgate. 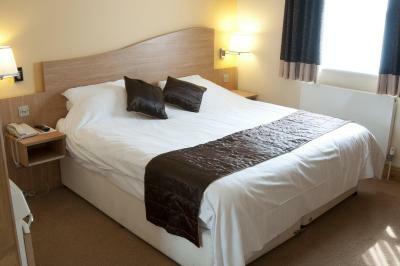 The hotel is just 4 miles from the A1 and the Orton Meadows Golf Club is just a short drive. There is also a rowing and canoeing course close by. 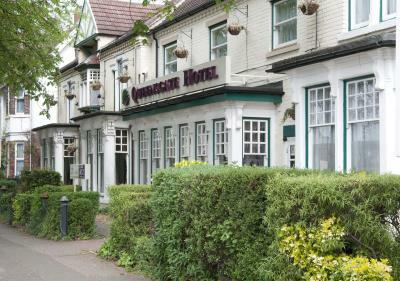 When would you like to stay at The Queensgate Hotel? 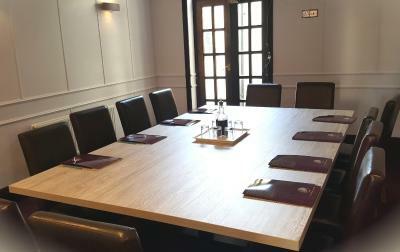 This larger room boats a personal espresso machine, a flat-screen TV, and a complimentary fruit bowl and mineral water. 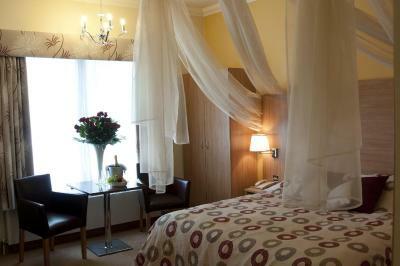 This room also features an private bathroom with upgraded toiletries, slippers and free direct dial calls. 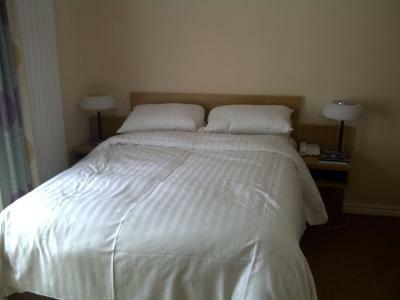 Slightly larger room with flat-screen satellite TV, free Wi-Fi, and superior bathroom toiletries. 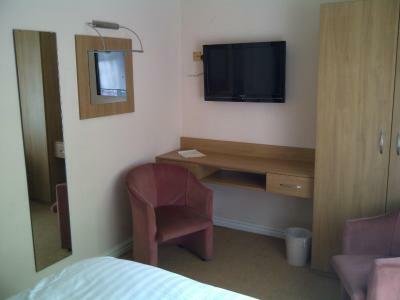 Slightly larger room with a flat-screen TV and free Wi-Fi. If guests upgrade to bed and breakfast, free Wi-Fi is available. 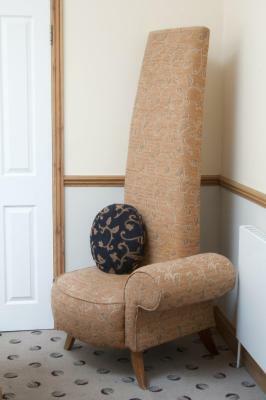 Slightly larger rooms that are suitable for wheelchairs. These rooms have private bathroom, wet room and flat screen TV's. Rate includes free WiFi access. The room can be made into a double with 24 hours notice. 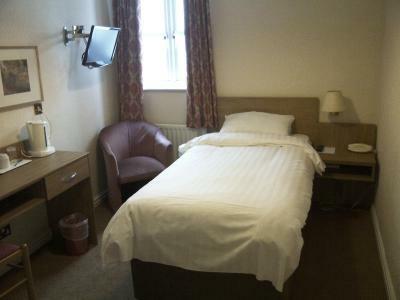 This double room features a electric kettle, seating area and satellite TV. 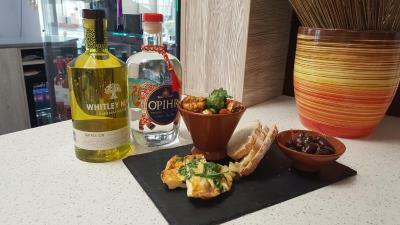 House Rules The Queensgate Hotel takes special requests – add in the next step! 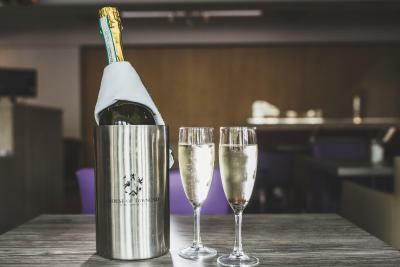 The Queensgate Hotel accepts these cards and reserves the right to temporarily hold an amount prior to arrival. Cancellations should be made by 2 pm on the day before the arrival date. Don't book a single room at a cheap price. You won't be able to sleep. My bedroom was next to the ventilation of the restaurant. I couldn't sleep because of the noise. It is supposed to stop at 10 pm, but was still on at 2 am and starts back at 6 am. My window was facing a wall : not even 1 m distance. Not a 3 star hotel. I really cannot think of anything! I would not hesitate in staying there again! The staff were welcoming and helpful. My single room was spacious with a comfortable bed. The bathroom was new and modern. I stayed in the morning as there was a meeting there I needed to attend. 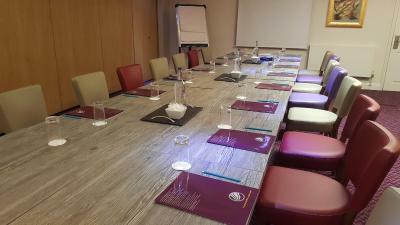 Everything in the conference room was set up professionally and beautifully. Rebecca was extremely helpful as she was multitasking. There was another lovely helpful lady at breakfast time too. Another helpful young man went out and got soya milk for me. On arrival I was pleasantly surprised by the lovely dining room and it is ideal for someone on their own to stay. I could have had dinner there. The fire alarm went off twice - once when we were asleep. This was apparently due to someone leaving the door open while in the shower, although we could smell tobacco in the corridor. We were halfway down the corridor when the alarm stopped and we realised it was a false alarm. Really this ruined our night. The room was modest but comfy, and the staff were friendly. Room faced onto main road and, with it not having double glazing, tended to be a little noisier than would have been liked as traffic sound was as clear as if window was open. Plenty of parking not far from centre. Room was large and adequate. The room was small, looked out onto a wall about a foot away, and absolutely stank of wet dog, even with the window left open all day. The carpet was thin, patchy and stained and appeared to be laid over rustling plastic or something similar. There were only two lights, one of which didn't work, the ensuite was teeny, with a very dim light, there were also unflushed solids in the toilet when I arrived. There was no hair dryer - I asked for one, because it was pouring down, but apparently the hotel had no access to spares outside cleaning time! The room was cold, even after I shut the window, the pillows were super thin and it was very noisy. I had about three hours sleep and spent as little time in the room as I possibly could. What a disappointment. The staff are the best thing about this hotel. They are friendly, helpful and do a great job. Shower was “molten hot” without ability to cool it/ rendered it unusable. People tramping outside past our room at all hours (drunk workmen). Broken bed, no remote control for tv. Bed was broken in half so my wife rolled into the middle together with me by happy accident. Our tv didn't work, thank goodness there was another room free so we got moved.